Subsequently, Ronnie became best known for his depiction of the many moods and splendor of the majestic Rocky Mountains and the wildlife that lives there. His understanding of nature and wildlife in their natural environment is reflected in his choice of color, attention to detail, and sense of composition. Ronnie believes strongly that an artist must know his subject and enjoy what he is creating. 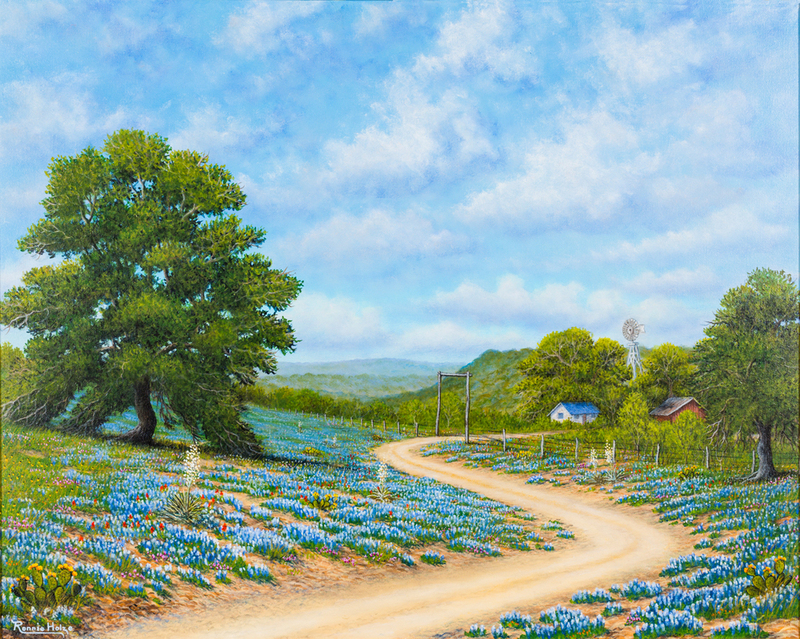 You will note that many of his paintings in the gallery are of Central Texas scenes, as he returned to his home state in 2012. Ronnie is a self-taught oil painter specializing in landscape, wildlife and trout, and has published many limited edition prints. His paintings have been chosen to be the cover picture on twenty-four different fly fishing guide books and maps. He is an avid fly fisherman and scuba diver, which enables him tocapture underwater pictures of fish in their natural habitat. Kathy and her husband, Johnny, currently reside near Stephenville, Texas. Tate’s work has received numerous awards and been exhibited with Oil Painters of America, C.M. Russell Museum, Greenhouse Gallery's Salon International, Mountain Oyster Club, Night of Artists, Bosque Art Classic, and the Gilcrease Museum. She is a member of Oil Painters of America and is on the roster of Artists in Residence with the Texas Commission on the Arts.